ScreenPrism: Some types of sharks are terrifying and dangerous, but not all. Would you say Jaws gave people misconceptions about sharks? 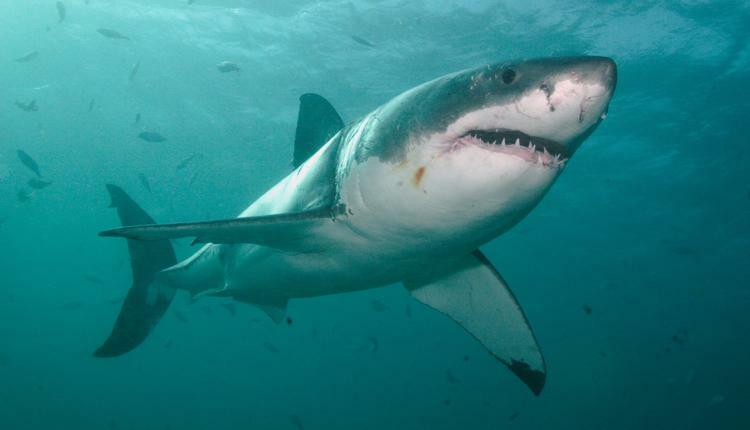 Professor Lapadula: A few things about a great white: they can be 20 feet long; they can have over 300 serrated teeth; a shark like that can smell a drop of blood in the ocean from three miles away. So this is a pretty formidable creature. It’s dangerous. Even though it doesn’t prefer human prey, the great white is responsible for the highest number of unprovoked shark attacks on humans. But what is sad is that Jaws (1975) demonized all sharks across the planet. It mythologized the shark as a ferocious predator of the human race. I teach about films that changed America — this was a film that changed America in a number of ways. It set up a whole new distribution pattern, a whole new marketing strategy for films. It was the first real summer blockbuster. It rescued the film industry from the doldrums that had been in for decades. The industry was declining, declining, declining, and then suddenly, here comes Jaws. No movie had ever made over $100 million at the box office, and Jaws makes over $260 million domestically at the box office. So it took the story of that mythically monstrous man-eater to produce a monster hit. These are all great things, but it was also responsible for beach attendance being way down in 1975 because people stayed away from the beaches in droves. But the big thing was it demonized sharks. 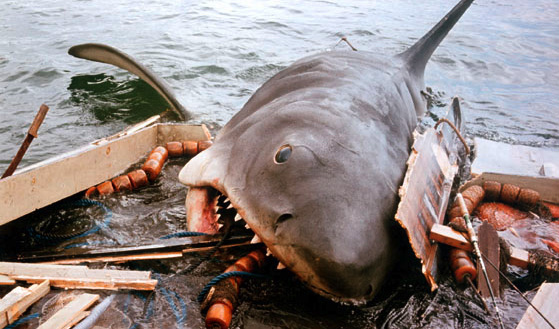 This is the one adverse, really negative thing that came out of Jaws: ever since this movie came out, shark-killing contests are run all over the world. On average, between 20 and 100 million sharks are murdered every year. Some species have been driven close to extinction, others are in danger, and there are only three species of shark — the Bull, the Tiger and the Great White — that ever really go after humans. Sharks are very gentle with their young. They're very nurturing. Before Jaws nobody really knew anything about sharks. They were never studied. One good thing that came as a result of this film was that they started to be studied, but [author of the source novel] Peter Benchley later felt very bad about the fact that so many sharks, to this day, are being killed senselessly because people just think sharks are bad or they want a trophy. He said that if when he was writing the novel he had known about sharks what he knew years later, after he had really studied them and there was much more information about them (because other people studied them as a result of this movie), he said he wouldn't have written the book. Despite all those millions he made. That’s not to say that we shouldn’t have a healthy fear of sharks. Currently, because they are now coming in closer to shore due to global warming and the cooling temperatures in the north, we saw more shark attacks in 2015, the 40th anniversary of Jaws. So it's on the uptick, but still you're more likely to be struck and killed by lightning than to be killed by a shark. Yet, as a result of this movie, we get the sense that all sharks are like the one in Jaws. He will not stop. He will not sleep. He will pursue you — unless you kill him. That’s what made this movie so exciting: the shark is just not going away. He has an insatiable appetite. He is a maritime terminator, and he’ll be back. Read more from Ask the Professor: How did problems with the mechanical shark in "Jaws" lead to a brilliant moment?